Most of us don't WANT to work out on Thanksgiving, but I promise you it's a great way to start off the holiday. After trying to get the turkey in the oven, prepare the side dishes and pick up the house, I'm stressed and taxed. Although a workout isn't on the top of my list, I try to set aside 20 minutes to get moving. I promise you that it's worth it; I am always so glad I did it. I feel less stressed and more energized. 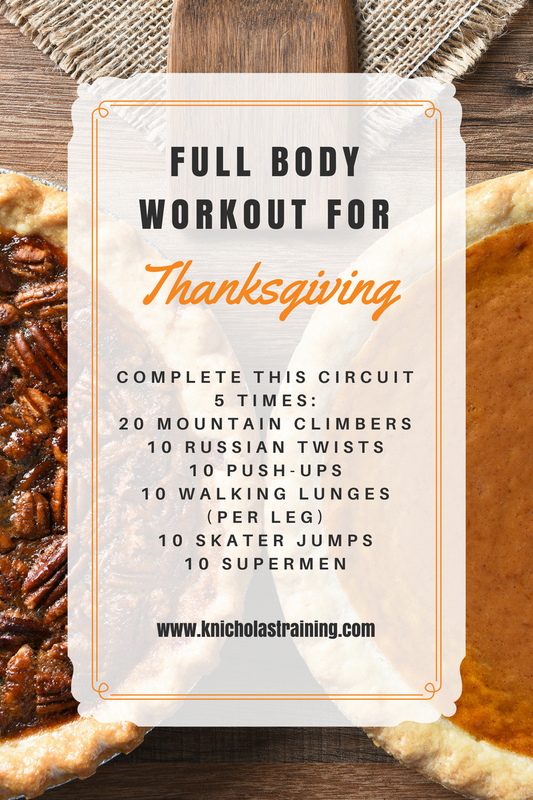 If you haven't tried working out on Thanksgiving, set aside 20 minutes and try this workout. It's fast, and it works your entire body.